Price: - Rs.990/- or 15 $ approx. Shelf-life: - 3years from manufacturer date. The shade of the lipstick is peachy brown that look great on fair to medium skin tone beauties mostly. Being satin the lipstick is quite moisturizing for me. It glides smoothly on lips , it doesn't tug or pull your lips during application and stays pretty long time. The lipstick during application moisturizes your lips which after few minutes turn into semi-matte finish but still it transfers a bit in cups and glass. The lipstick stays nearly about 6 hours if having meal but without meal it stays approx. 8 hours. The lipstick gives medium coverage to pigmented lips actually which I think is a negative thing that I don’t like about this lipstick else shade wise the lipstick is just ideal for daily wear and especially it goes well with Smokey eyes mostly. Coming to the price of the lipstick it is another thing that always keep me bugging every time I tends to buy a Mac lipstick still it gives a relieve that the pricey lipstick worth for the price totally. Okay now summing up the entire post in Pros and cons point wise. • Lovely and wearable shade. • This shade will suit most of the skin tones. • Satin finish so non-drying of lips. • Keeps your lip moistens. • Definitely the vanilla smell added +1 to this lipstick. • Being pricey I expected the coverage should be little more. • Another con is availability is pain as it is one of the hottest selling shades. • Transfers easily to cups and glass. Mac lipstick Mocha is a beautiful peachy brown shade that is really wearable in office as daily wear purpose. It is most versatile shade that suits most of the skin tone. So I would definitely recommend this particular lipstick to try it in store first. 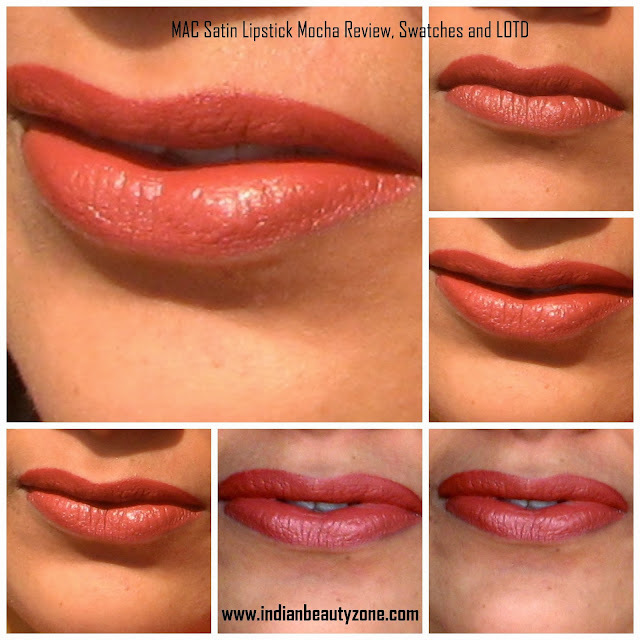 J And if the price and availability bothering you then you can easily find out the dupe of this shade I Lakme 9 to 5 lipstick range. every one “Happy winter” here I end my post ….muuuaahhh ! Yes it is really a wearable shade :) and thank you dear ! This is a nice shade, and beautiful lip swatches dear...But the shade might not suit me. I also like MAC lipsticks' smell! Lovely & versatile shade! 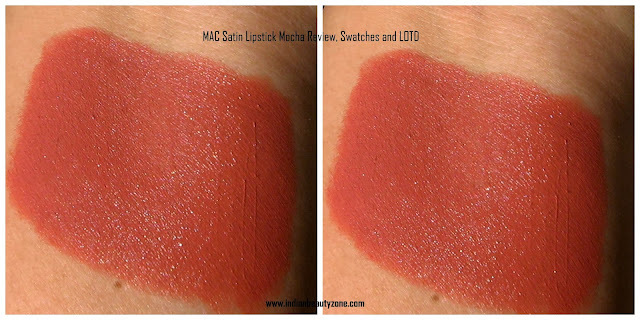 Lovely lip swatches! That's a lovely shade Sammanita..and it looks great on you! love ur lip swatches...very pretty shade.. I love Mac lipstick this color looks pretty on you. MAC products are the best! Such a beautiful color, I am yet to try their lipsticks. ohh then you shud try one :) i bet you will love it ! pretty shade and nice review!!! My lips but better shade. Looks amazing on you.